I am so confused... $5.49 for a fully cooked, fully seasoned Oven Roasted, Rotisserie Chicken. Yet shop in the raw meat department and most raw chickens are at best $8 each and usually far closer to $10. Anyone have an answer??? So, I can either rail against the machine, or learn to embrace the beauty that is the $5 chicken! 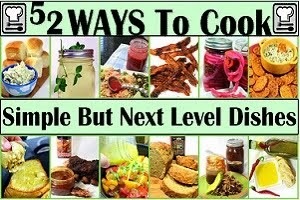 Below are recipes I have made, and recommend. MORE than 52 (I just can't stop)... a use for the chicken for every playing card in a standard poker deck... Or, for every week in a year. In fact, if I counted the chicken stock that I make from the bones and bits of pieces hanging off the carcass, I would guess that half of these posts would and could be soups. So, let's make a deal, I will add soups, stews, risotto, rice, things like that that can be made from the stock as a sort of appendix. 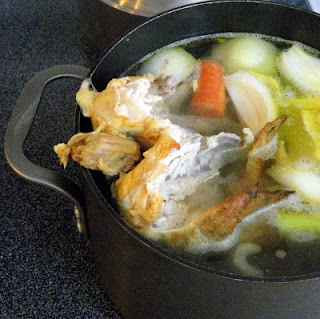 But with the exception of making a stock as one of the uses, I will not add any soups (unless they actually have the meat from the birds as an ingredient). 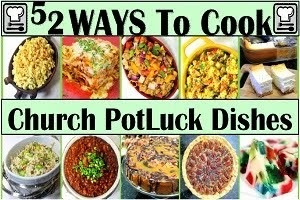 If you are just looking for a leftover weeknight dish to make... Or something special, these ideas can be easily adapted for your needs. All have actually been made by me, and the photos you see are the photos I took of the dish. Real food, made by a real person AND YOU CAN MAKE THEM TOO! With the price of store bought chicken stock (and comparing the taste to the cubes), this gets a free chicken and is almost no effort at all. 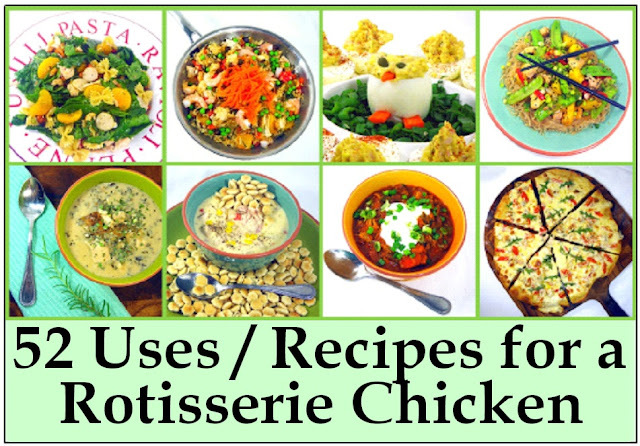 I started this project a year ago and it has taken on a life of it's own... Lots of folks have looked over the list, several have made suggestions (keep those coming, email me at Contact@eRecipeCards.com if you have a link to a post you would like for me to try. And of course, if anyone tries one of these, drop me a line and let me know how it comes out. A FANTASTIC recipe for an easy to make flavorful chicken spread... Add celery, pickles sweet onions and more for this unforgettable Chicken spread. Cajun Chicken Salad with lots of Farmer's market Goodies! This is my very favorite recipe for chicken salad. Lots of fresh goodies (crunchy apples, sweet grapes... more)! You may think you have a terrific chicken salad recipe, but this one is REALLY THE BEST (well, in my opinion). Sweet Apples, Grapes, lots of extras make this fresh as a summer day. Creamy and a little cheesy and just LOADED with little extras (peppers and such). Fast and easy to make. Turns mac and Cheese into a meal. A ZIPPY alternative to the standard chicken/pasta and red sauce. It's actually a very tasty, VERY easy Macaroni and CHEESE! A new Favorite! I have seen BIG versions of this around as a pull apart appetizer for a party. i wanted to use a hamburger bun, make a single serve sandwich to zip up a leftover soup. WORKED GREAT, delicious sandwich, stunning presentation and no one card about the leftovers! A Grown up savory delicious soup, thick and creamy and Earthy tasting with Italian seasonings, Mushroom based Roux and made hearty with the Rotisserie Chicken! This was unexpected. I started making something different and ended up with a creamy tomato soup just LOADED up with vegetables and a nice Kielbasa added to the Rotisserie Chicken. I added Cream Cheese to make it even more delicious! A New FAVORITE! I made this and served it as the sandwich half of a Soup and Sandwich to brighten up a bowl of leftover soup. BUT, what an amazing breakfast this would make! Made especially easy with a tube of refrigerator biscuits, but it is the taste that will make you want to make again and again. May be the PERFECT use for a rotisserie Chicken! A long title, and I could have just said, "Rotisserie Chicken Eggs Benedict", but with the easy fast never fail Hollandaise Sauce recipe and using garlic toast in place of an English Muffin, I just thought the idea of "whatever I have in the fridge" Eggs Benedict made more sense for a title. 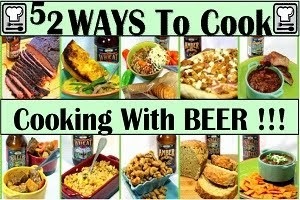 of new recipe ideas... I just can't stop! Quick and easy to make and a perfect little bite for a New year's Eve party (or any other type of party). Puff pastry makes these little beauties look fabulous and taste great. 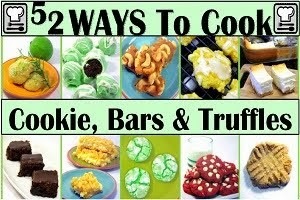 There is one small easy trick, explained with photos so anyone can make these! Almost embarrassing how easy this recipe is. AND CHEAP, REALLY CHEAP, a delicious lunch made easy with the meat from a rotisserie chicken, dressed up with toppings of your choice (that are already in your pantry). Under a $1 a serving. Fast food dollar menu at home! Forget meatballs, use the meat from a store bought, pre-cooked, pre-seasoned Rotisserie Chicken, simply slice breast meat, add to the sauce and the pasta to the sauce and you have a DELICIOUS easy fast weeknight dinner for 2! My favorite breakfast, an Italian omelette with a bot of Greek touches. I made this from the meat of 2 Chicken Wings from a Rotisserie Chicken. Sweet creamy eggs are seasoned perfectly and DELICIOUS with these fixins! Breakfast, Lunch, Snacks... These are fantastic! Sharp Cheddar Cheese, onions, peppers, even a secret ingredient that makes normally dry muffins amazingly sweet, moist and tender. 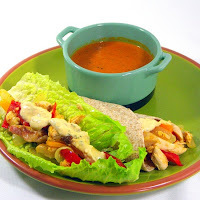 Sweet and savory, LOADED with veggies and chicken and delicious... LOVE These! 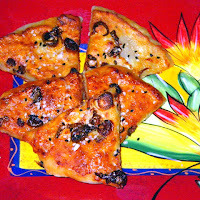 Pizzeria Pizza at home! With a French Twist as the classic tastes of the classic recipe are transferred to a PIZZA... Chicken, Ham, Mustard and Swiss Cheese Make this a new favorite. 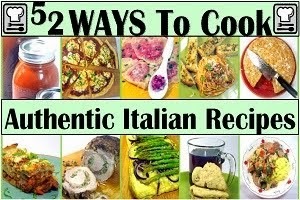 Includes recipes for sauce, dough and tips and techniques to get PIZZERIA QUALITY AT HOME! WHO KNEW??? There is no standard definition or difference between broth and stock. So I weigh in with my definition and formula for making broth in a crock pot. I fall under the use category and let my past define my terms. Calzone... A sort of stuffed pizza, made by folding over half the dough to create a... pocket... a HOT POCKET of you will. Mix em together, forgive the corned beef/chicken substitution and you have a WONDERFULLY EASY deliciously unique combination. 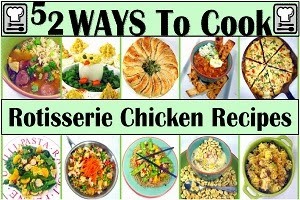 What's better than turning Last night's savory side dish into a spicy hearty warming HEALTHY Lunch or main course for 2? This has the flavors of a classic Buffalo Chicken Wing added to a rich creamy Spring Vegetable RISOTTO! This is a White Pizza, Creamy Cheesy Mornay sauce (Easy to make, lots of photo instructions)is the base, with garlic and pepper flakes, topped with Rotisserie Chicken, tomatoes and Arugula... ONE OF MY FAVORITE PIZZAS! Works as good or BETTER than any bar serving Chicken Wings. I did double up and used 4 wings from 2 Rotisserie Chickens. Add a little butter, hot sauce, Worcestershire sauce and you have a FANTASTIC lunch, snack or appetizer from the pieces most people throw away. BAR SNACKS AT HOME! Spicy and DELICIOUS! Parsley, Red Peppers and white meat Chicken turn the colors of the Italian Flag into this tasty delicious uniquely flavored chicken salad. PLUS, if you are looking for a mayonnaise less salad, this is for you! NO MAYO! This is GOOD... Really GOOD. All the summer BBQ tastes you love, BBQ seasoned Chicken, Corn on the Cob, Onions and a BEER, all molded into a sweet creamy AMAZING Italian treat. Included are LOTS of PHOTO DIY Tips insuring success. I MEAN REALLY GOOD! best Risotto I have ever made. It's the sweet Honey Mustard Mayonnaise that is the base to this salad that separates this from the rest. I especially LOVE the crunch texture of the apples, the sweet grapes and savory celery makes this legendary salad EASY and a HUGE HIT! All made easy with a pre-cooked, pre-seasoned Rotisserie Chicken! This is one LOADED Salad. Low in Mayo, but Creamy with hints of sweetness. But it is all of the fruit and veggie goodness added. Apples, Grapes, Celery, Sweet Onion and then the crunch of the nuts. This is the fancy Artisan Salad served up at them fancy Bistros... ENJOY! Not duplicate word, it is indeed a Chicken Salad (and a very good one). But add the spinach and fixins for a salad (BACON, Tomatoes and Ranch Dressing) and you have a Chicken Salad that is also a Salad! And it works GREAT as a sandwich! What??? Cream Cheese in a Chicken Salad??? OF COURSE and it comes out a little sweeter, a lot creamier and delicious! And it works GREAT as a sandwich! Or especially works great for a Lettuce wrap with a broad leaf of Romaine Lettuce. 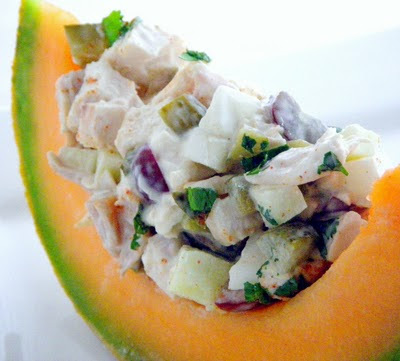 One of my favorite Chicken Salad Recipes ever! 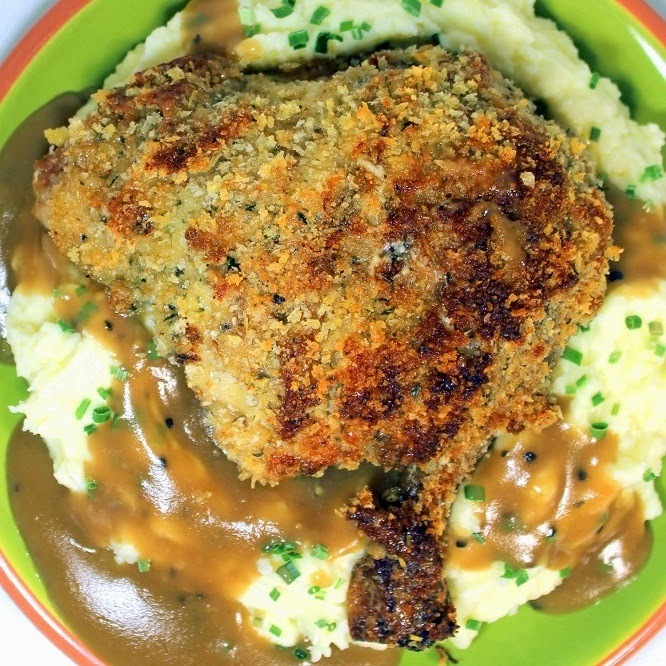 Parmesan Crusted Chicken (Rotisserie Chicken Upgrade)! 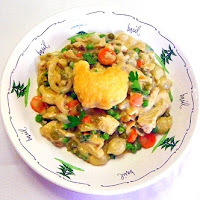 I bet you have seen this recipe on TV... A Mayo company advertised this with uncooked Chicken Breasts. Well, this is a slight adaptation using a pre-cooked, pre-seasoned Rotisserie Chicken. I like to use the breast meat for salads and the leg/thigh quarters for an UPGRADE like this. SIMPLE, 4 ingredients, EASY just slather and re-heat, and FAST... About the time it takes to make some mashed potatoes! 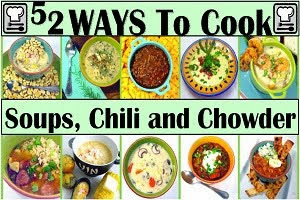 Go beyond the basic recipes and add some tips and extra photos appropriate for less experienced cooks so that indeed...ANYONE CAN COOK THIS! This is just a bit of a cheat as I have already listed the dish. I changed this to a perfect little breakfast dish for two people. 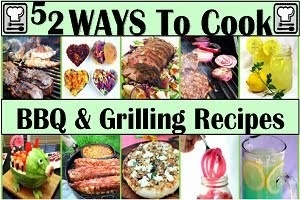 I also added LOTS of basic info helping a novice cook and PLENTY of photos guaranteeing success for an inexperienced cook. This is such a winning recipe. Crunchy, cheesy, savory, lots of onions and eggy custardly delicious!!! 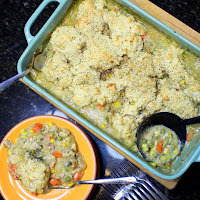 So FILLED with garlic I named it twice... Includes a recipe for copy cat "Red Lobster Cheesy Garlic Rolls" that I use as dumplings, A delicious on it's own garlic chicken vegetable soup made double good with the addition of the garlic cheese dumplings! 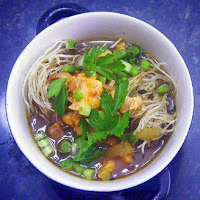 My favorite soup recipe... maybe of all time! I LOVE Gravy. I think it is one of those lost arts that our Mothers and Grandmothers have not passed down to enough of us. BUT, thanks to a store bought pre-cooked, pre-seasoned rotisserie chicken now I can get this comfort food treat FREE from the parts most people throw away. How about that... EIGHT Recipes all from one $4.78 Bird!!! Parsley, Red Peppers and white meat Chicken turn the colors of the Italian Flag into this tasty delicious uniquely flavored chicken salad. PLUS, if you are looking for a mayonnaise less salad, this is for you... NO MAYO!!! And thus ends Chicken #3... But I just bought another! and invite me over for some Chicken!! !